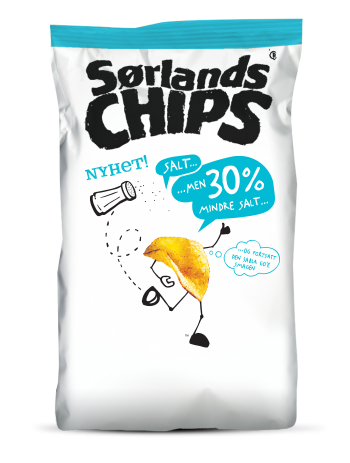 Sorlands Chips was the brainchild of Rune Iversen (co-owner and chairman), who lived in Canada during the 1980s and 90s. A friend Terje Marcussen, visited from Norway, and they both enjoyed Miss Vicky’s Chips together. Iversen knew Bill Kerr, the founder of Miss Vicky’s and a short while later, Sorlands Chips was born! The current production facility is located in Song valley just west of Kristiansand in Vest-Agder. The potatoes come from farms in Southern and Eastern Norway or Denmark. In 2005, the company merged with Swiss company Valora Holding AG. In 2008, the company was sold to a large US investment company. 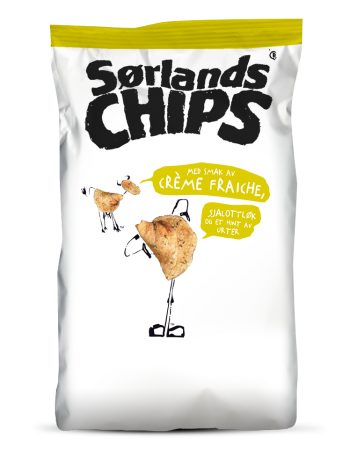 Sørlands Chips is now owned by Scandza as. 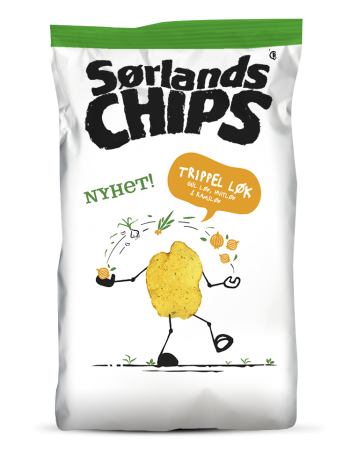 Sørlands Chips currently has a market share of around 20% of the Chips market in Norway.